Cigna announced Thursday its revenue increased by 9% to $11.5 billion in the third quarter and credited growth in its global healthcare and supplemental benefits segments. The Bloomfield, Connecticut-based payer’s adjusted income from operations increased to $945 million from $716 million a year ago. The payer finished the quarter with nearly 16.3 million medical customers, mostly commercial members. Unlike other payers that have focused more on government health plans, Cigna has only 485,000 members in government plans but is looking at Medicare Advantage as a future growth opportunity. Cigna continues to grow organically in commercial plans, differing from other payers that are expanding government plans like as Medicare Advantage and Medicaid in the quarter. 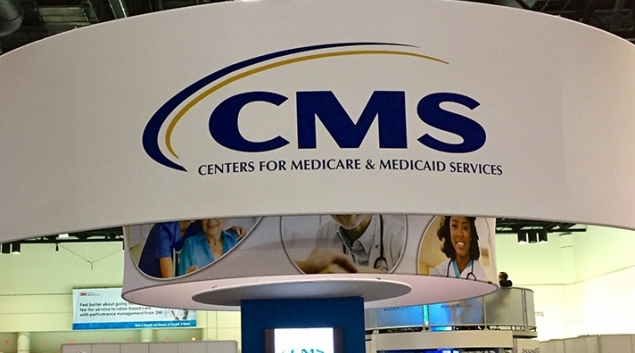 One reason for Cigna’s focus on commercial plans is that CMS barred the payer from the MA market for more than a year. Cigna returned to the the market last year, but missed out on some of the growth other payers have enjoyed in MA. Despite Cigna being behind other payers in MA, the company’s CEO David Cordani said the payer still views the plans as an “attractive growth opportunity.” Cordani added that Cigna is adding a new market in MA next year and expects a larger expansion in the area in 2020. Cigna said its third quarter revenue increase came from commercial customer growth, expanded specialty relationships and premium increases. Premiums increased from $8.1 million in Q3 2017 to almost $9 million in Q3 2018. For the year, Cigna has picked up about $3 million more in premium revenue compared to 2017. The payer finished the quarter with $27 million in premium revenue for 2018. Cigna has seen membership growth over the past year in commercial plans. Overall, medical health plans increased from 15.8 million a year ago to almost 16.3 million in Q3 2018. Nearly all of that increase came from commercial plans. Cigna said it’s seen continued organic growth in the select, middle market and individual segments. Cigna’s medical care ratio, also called medical loss ratio, was 76.3% for its commercial plans in Q3. The company said the positive number is connected to its employer business, individual market and the return of the health insurance tax. Cigna’s MCR for government plans was 80.7%. Cigna’s purchase of Express Scripts is the latest vertical integration move involving a payer. Cigna/Express Scripts and CVS Health/Aetna are both going through the regulatory process now. The Express Scripts deal cleared an important hurdle in September when the Department of Justice said it wouldn’t challenge the $67 billion transaction. DOJ said the acquisition “is unlikely to result in harm to competition or consumers.” So far, 23 states have approved the Cigna/Express Scripts deal and six states remain. It is expected to close at the end of the year. Payers have been buying pharmacy benefit managers as they look to rein in spending on specialty drugs. Cordani said Thursday that bringing Express Scripts on board will improve affordability, expand the company’s distribution reach and provide more predictability for clients and customers. He added that with Express Scripts, Cigna is confident to get the medical cost trend in line with the consumer price index by 2021. Still, Cordani pointed to potential headwinds for 2019, including individual market revenues not as strong as this year. Cigna expects a mid-single-digit growth in that market. “Margins above that are not sustainable,” Cordani said of the individual market. Cigna will grow to seven states in the individual market in 2019 by adding Arizona, but the company is “projecting a little compression in the number of lives we’re serving in ’19,” Cordani added. However, Cigna is looking to offset headwinds by growing its customer base, including in MA, improved global disability and life business and higher earnings from Express Scripts, he said.